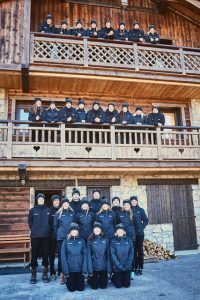 The i mportance of chalet staff is pivotal to the success of any ski chalet company in the Alps and, whilst even the best ski job in Meribel can be demanding, here at Ski Basics we believe that if a chalet company has happy staff, this in turn leads to happy customers. 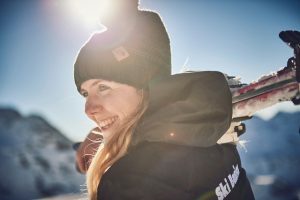 Choosing a ski season job is a great option for those who love skiing/snowboarding and want to improve their mountaintop skills whilst also experiencing the amazingly unique experience that working a winter season in Meribel promises. “Having worked in London for 4 years post university, I was keen to travel again. The lure of combining the experience of a different culture and working environment, together with my passion for snowboarding was too strong. 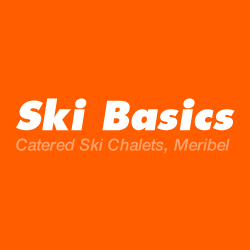 Having started my season as a resort manager in Chamonix, the opportunity arose to take up a role with Ski Basics as a Driver and Chalet Host in Meribel. Early starts and late nights were familiar to me, but the opportunity to get more time on the hill was key. A key part of Ski Basics philosophy was that they wanted active people that were passionate about the mountains and who’s enthusiasm and energy would ensure their guests enjoyed a fantastic holiday. Coupled with this, we often skied together as a staff team, which really strengthened the bond between the Ski Basics team and our service to the clients. Whilst Meribel is quite an English resort, speaking a bit of French certainly helped and I was able to practice this whilst dealing with suppliers and chalet owners. Additionally, I was also able to develop friendships outside of the bubble of your typical English seasonnaire. Whilst my snowboarding really developed and I would have loved to have undertaken another season, I also met my now wife and life took me back to England. We’ve now got 3 children and are developing the next generation of seasonnaires as we return to Meribel as Ski Basics guests every year”. So how do you get that perfect ski job in Meribel? Here are some helpful tips! An outgoing and extrovert character helps! When Do the Three Valleys Ski Resorts Look for Staff? Timing is pivotal! Every year we look for new chalet staff, cooks, drivers and managers to join the Ski Basics team in May for the following season. So right about now we expect to receive swathes of CVs from expectant hopefuls looking to join us to work a ski season in Meribel. We get lots of returning staff and this speaks volumes about how our staff are among the happiest chalet staff in the Alps. Due partly to the job satisfaction they experience when they do a job well and are rewarded for doing so, but of course also because they get to experience some of the best skiing in the world. We do not specify age restrictions or specific qualifications as we believe each candidate should be judged on their experience, confidence, and friendliness. We do ask however that all applicants hold a valid British (EU) passport with a permanent UK National Insurance Number. You can download a job application form here. you know what to expect and there are no surprises when you arrive on the mountain. Whether you are looking to become a chalet host, chalet cook, driver or chalet manager; there are many ski jobs in Meribel to choose from so ensure that you choose the right role for your particular skillset. It sounds really obvious, but do not choose to be a cook if you can’t boil an egg, and likewise don’t choose to be a chalet host if you are not a ‘people person’ with a big smile! We can’t wait to hear from you as we look to recruit our next awesome team for the coming season. If you think what it takes to work a ski job in Meribel, then please get in touch.